With the recent release of the final installment in the Lunar Chronicles, I figured it was about time I dig into "Cinder," the first in this highly-acclaimed series. I was not disappointed. The premise: in the future, humans still live on Earth, but another group living on the moon has evolved. Known as Lunars, these people have the power to change what others see and believe. Cinder is a cyborg, living on Earth in New Beijing while a lethal plague is running rampant. Cyborgs aren't considered full citizens, so she works to support her stepmother and stepsisters. Prince Kai is holding a ball, despite his parents' having caught the plague. On top of all this, the feared and reviled Lunar Queen is coming for a diplomatic trip. Yes, it's a Cinderella retelling - each book in the series is. But it's a fresh take. Cinder is a determined, intelligent, loyal heroine. Her deep love for her stepsister rings true, despite her terrible treatment by her family. Her interactions with Kai, although they are a normal YA-trope romance, feel far more realistic than other novels that shove the male and female characters together to check the box of a central romance plot. She gradually warms to him, instead of falling head over heels immediately. Her stepmother is perfectly awful, but she offers a critical lens into the society that Meyer has crafted. I'll speak vaguely to avoid spoilers. Did I know where this was going as soon as the android started talking? Yes. Did I care? No. I was excited to see how the characters got there & developed along the way. While the broad arc of the series seems clear to me at the conclusion of this installment, I'm still excited to read on and see how it all unfolds. Verdict: Affirmed. Highly recommended for YA fans, SF fans who don't mind the YA romance with their futuristic societies, and anyone who loves a fresh take on a classic fairy tale. 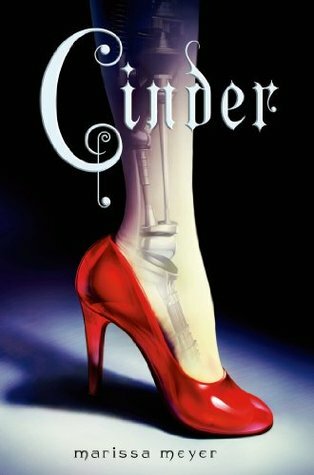 "Cinder" by Marissa Meyer, published January 3, 2012 by Feiwel & Friends. Audio narration by Rebecca Soler, published January 3, 2012 by Macmillan Audio.